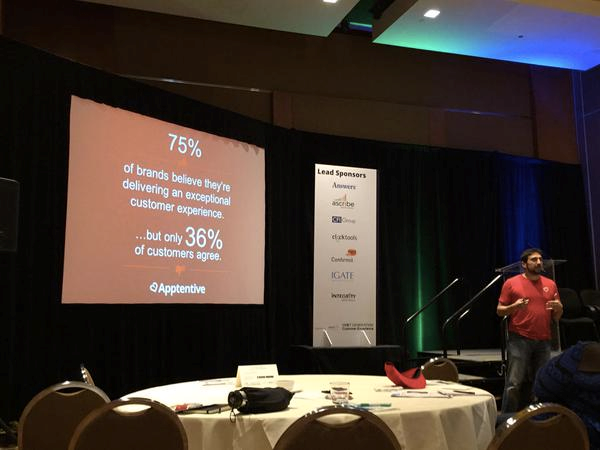 I recently had the opportunity to attend San Diego’s Next Generation Customer Experience conference and present a session on the role of mobile in closing the gap in customer experience. The conference attracted some of the biggest names in customer centricity from all over the retail, hospitality, and financial service industries. Each of the 260 attendees was a true expert in customer experience in his or her given field and lived and breathed the customer-first mindset. Yet, as I glanced over the list of attendees and speakers, I couldn’t help but notice the lack of attention given to mobile as a channel for customer communication. And I think this is typical of how most view the customer experience. Why is this such bad news for your brand? The physical store and its online extension are the bread and butter of most customer experience programs. But what about the rest of the time, when the customer isn’t actively in the buying stage? What opportunities are companies missing by defining the customer experience within the periphery of your store? Customers in your store are given your utmost attention. You’ve built a brand and a reputation around your in-store experience. You have loyalty programs, a no-questions-asked refund policy, customer satisfaction surveys, and perhaps even greeters. And if anything goes awry, a dedicated customer service rep is never more than a few yards away. When customers seek you out online, you have just as much of an opportunity to create a personalized experience. You’ve A/B tested the buyer’s journey to death, you have live chat available 24/7, and you’ve launched a retargeting program to ensure your brand is always top-of-mind. Your in-store and online customers have no reason not to sing your praises. They’re satisfied beyond doubt, but are they engaged? Unfortunately, this is where companies and their customers see things differently. According to a recent Mblox survey, 73 percent of businesses fundamentally believe they care for their customers. The kicker? Only 36 percent of customers feel cared for. Mobile customer engagement opens huge opportunities. Study after study shows that consumers want more out of their experience. They want personalization and consistency. And they want to be engaged. Everywhere I look, there are outstanding examples of companies going above and beyond to satisfy their customers when the customer comes to them. But what about the rest of the time? For most companies, these customers may be considered unreachable and even those that recognize the importance of customer engagement are often too far behind the curve technologically to do so. Fortunately, extending the customer experience beyond the transaction doesn’t have to be a tricky matter. Companies no longer have to wait for customers to come to them. 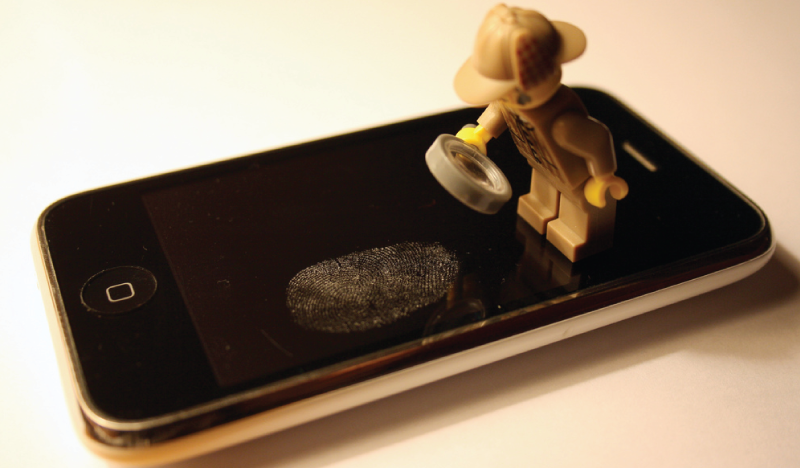 We can now meet them where they already are – on their smartphones. As you think about your customer journey mapping, consider this: The average person checks her phone an astonishing 110 times a day. That’s 110 opportunities to surprise and delight your customers, to extend their experience. Not only are our customers rarely more than a couple feet away from our phones; but they prefer, and expect to be able, to communicate with brands in app. And it doesn’t stop here. Mobile isn’t just an alternative channel for customer communications. Mobile is also a way to improve existing channels. With today’s advances in mobile analytics, iBeacons, mobile payments, and smart messaging capabilities, there’s no reason mobile can’t be there every step of the way to guide the customer through her journey. Notice a customer walking past your store? Use geo-location technology and push messaging to send them a personalized coupon and lure them in. Hear a complaint about long lines at checkout? Use location-based analytics to identify peak traffic times to guide your staffing needs. See a customer leaving your store? Target a specific location to trigger sending out a customer satisfaction survey to collect customer feedback. These may seem taken out of a sci-fi utopia, but hundreds of retail chains are doing exactly this… and driving 60 percent more engagement in the process. The mobile channel presents countless opportunities to engage customers throughout their journey, be it in store or from the comfort of their home. Next time you evaluate your customer experience, don’t overlook the importance of mobile in listening to, communicating with, and caring for your customers. After all, your customers are already mobile-first. Shouldn’t you be too?